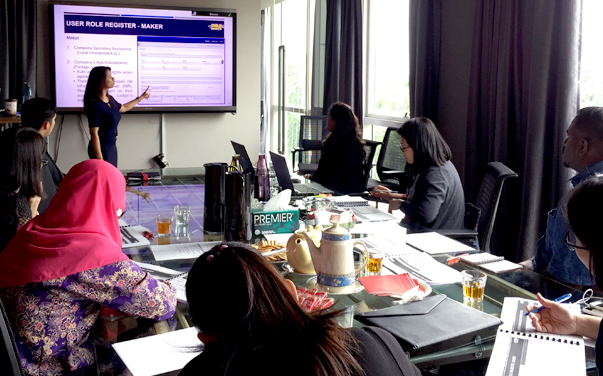 The team at OMESTI recently organised the first MBRS workshop for a select group of company secretarial, accounts and audit users in Kuala Lumpur. MBRS is a new online business reporting system that the Malaysian government has put in place for all companies to enable submission of Annual Returns and Financial Reports in a fully digital format. The MBRS platform was developed and implemented by OMESTI’s Solution Delivery Group and the training programme is designed to ensure that all end-users become fully familiar with the workings of the new system. As developers of MBRS, OMESTI is now providing this practical knowledge through SSM-certified training sessions. Leading the workshop was Shraddha Bagul, member of the Institute of Chartered Accountants India (ICAI) who has a Diploma in Information System Audit (DISA) and Diploma in International Financial Reporting Standards (IFRS). Also presenting the various functionalities of MBRS was OMESTI’s Sabrina George, who has been involved in SSM’s Corporate Tea Talk sessions and is very experienced in conducting training programmes across Malaysia on digital implementation projects. 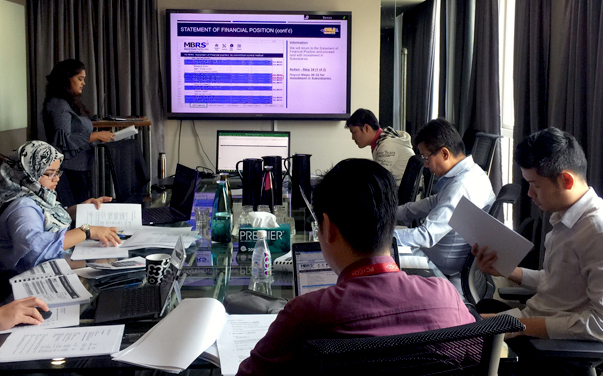 They were supported by Jeremy Chua, an experienced external auditor, who is well-versed in Malaysian and International Financial Reporting Standards. The workshop kicked off with an introduction into MBRS with users learning the main functions of the system together with some background on the technology behind the system - known as XBRL, or eXtensible Business Reporting Language. The workshop also included an insight into how MBRS will benefit companies’ financial reporting systems and how it can greatly simplify future company compliance requirements. One of the main features of MBRS is that it streamlines all SSM reporting systems for the various company departments, especially the Finance Department. Feedback from the participants indicated that the session was very informative and the assistance provided by the training team will be very helpful when the users need to perform their online submissions. Looking to get your team up to speed with the new MBRS system? Click here to sign up today!